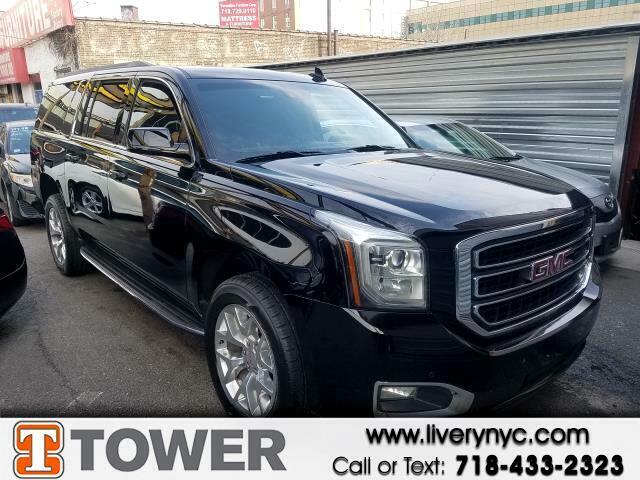 Used 2015 GMC Yukon XL SLT 1/2 Ton 4WD for Sale in Long Island City NY 11101 Tower Auto Mall Inc.
You'll start looking for excuses to drive once you get behind the wheel of this 2015 GMC Yukon XL! This Yukon XL has 144530 miles, and it has plenty more to go with you behind the wheel. It's equipped with many conveniences at your fingertips, including: blue tooth,DVD entertainment system,heated rear seats,heated seats,leather seats,moon roof,mp3 audio input,navigation,power locks,power seats,power windows,rear view camera,roof rack,side steps and third row seat Experience it for yourself now. At Tower Auto Mall, we don't just sell cars; we take care of our customers' needs first.